Our Preschool Room caters for children between 4 – 5 years of age. This is however, flexible and depends on the child’s and/or the family’s individual needs and developmental capabilities. 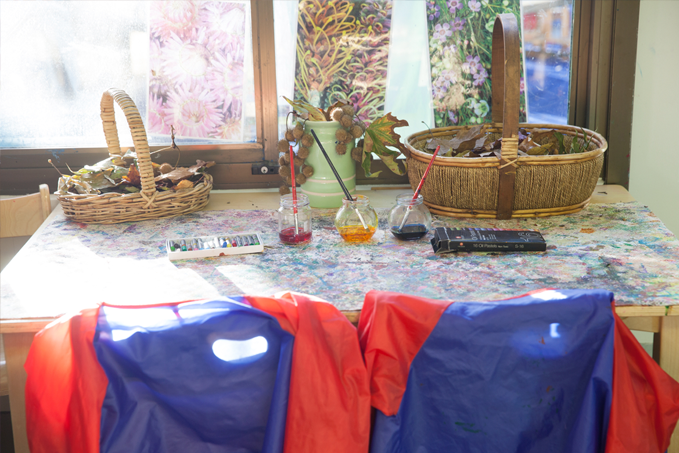 Our highly trained educators focus on providing stimulating learning experiences and environments where children will be challenged, engaged and encouraged to investigate and explore the world around them. Our educational program offers a transition to school program focusing on literacy, numeracy, science and art based play experiences, through which educators foster an atmosphere of inquiry, learning and discovery. Children are provided with a range of planned and spontaneous activities throughout the day and educators use intentional teaching strategies to scaffold children’s learning and interests. The experiences offered are carefully chosen to develop children’s thinking processes and skills like problem solving, experimentation, hypothesising and investigating. Music, art, drama, imaginative play and design experiences are offered to support the development of each child’s creative skills, which provides a range of mediums for self-expression. The flexible routine and environment allows children to choose play spaces, materials and resources, and decide when they would like to eat, play or sleep. Children in the Preschool Room access the main outdoor space, which includes garden beds, play equipment, a large sandpit, sporting equipment, bikes and a bike path. Our educators help the children to develop a sense of community by encouraging them to develop friendships, treat others with respect, and care for their environment. Visits to our surrounding neighbourhood assist children in learning about sustainability, nature and the local community. Preschool children are encouraged to get involved in sustainable practices on a daily basis, such as gardening, reducing wastage and recycling. At the end of the year families are offered transition to school assessments to share with children’s school teachers. These assessments measure the children’s social, cognitive and emotional development and overall readiness for school.